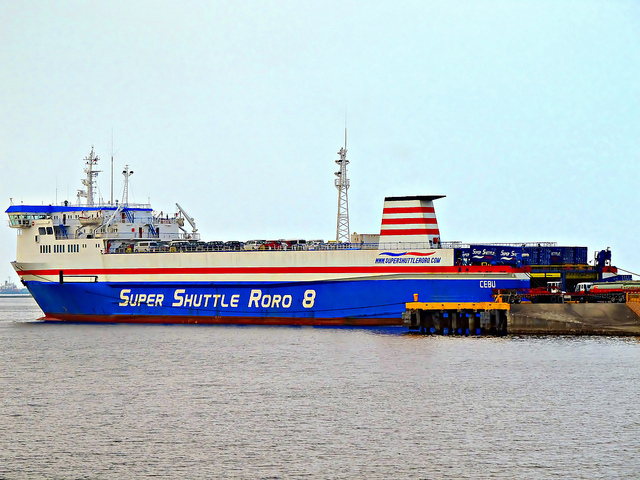 The 157 meter long, 12830 dwt ro-ro cargo vessel Super Shuttle Roro 10 ran aground off Ouano wharf, Mandaue City, Cebu, Philippines. 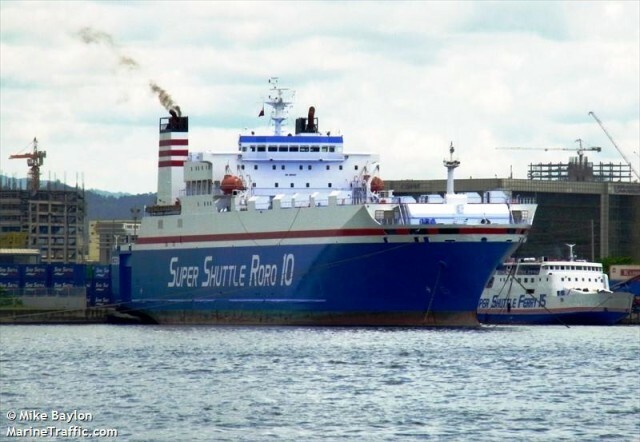 The Super Shuttle Roro 10 had departed from the wharf heading for Cagayan de Oro City when it became stuck in shallow water at low tide. The cargo vessel was later released on the rising tide and towed back to Ouano to be inspected for damage. No reports of injuries, damage or pollution released. During the landfall of typhoon Yolanda on the Philippine coast, several vessels were driven aground or sunk. 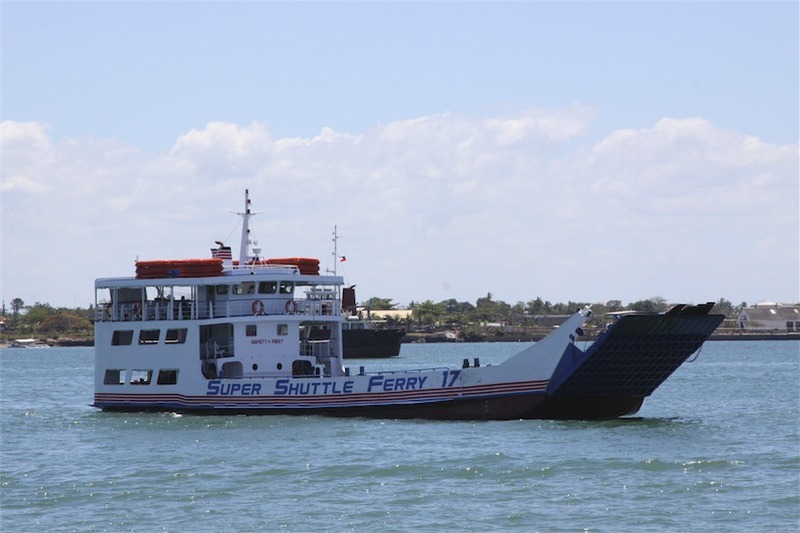 The passenger ferry Super Shuttle Ferry 17 sank near its pier in Mandaue City. The ferry was overwhelmed by the strong waves. No reports of injuries, but the vessel had some 8,000 litres of diesel and 200 litres of oil. 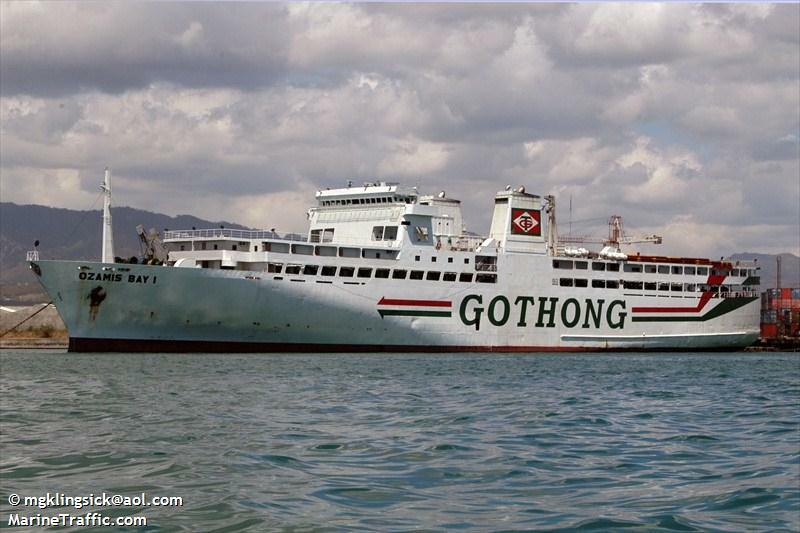 The 127 meter long, 2311 dwt ro-ro passenger ferry Cagayan Bay 1 and the 130 meter long, 2667 dwt ro-ro passenger ferry Ozamis Bay 1 broke from their mooring lines at Gothong Wharf in Mandaue City. The tugboat Metro Tug II capsized near Consolacion, Cebu. The tug was overturned by the strong waves. The Philippine Coast Guard reported that the tug was salvaged and was returned to its upright position. Four barges were driven aground at Cebu and Bohol. The barge Roger went aground in Bohol. The barge Big Champ went aground near Fishport, Poblacion Guindulman, Bohol. The barge Castor 6 went aground in a marine protected area near Mandaue City, Cebu. The barge Rene went aground off Carols P. Garcia, Bohol. Reports state all crew members except one were safely rescued. One crewman was reported as missing.